The MC Series 600 product family includes CPU, I/O and communications modules, as well as local and PC-based HMI units. The multitasking Linux-based real-time operating system guarantees fast reaction and reduced cycle times, providing efficiency and productivity enhancements. 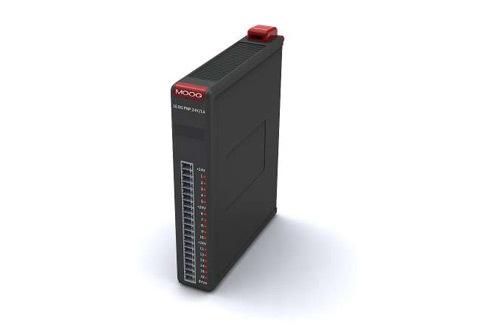 The hardware is complemented by theMoog Application Software Suite, a powerful yet easy-to-use tool for developing application programs based on�CoDeSys, the proven IEC 61131-3 compliant programming system. MOTION CONTROLS MOOG Industrial Servocontrol.. Machine Controller - MC..